WHO? The USA? or .........? Dealing with the North Korea of 2018 is not anything like the N Korea of the 50's. If all citizens capable of being deployed were, they would have the largest army on Earth. Equipment is way out of date but they have huge numbers in artillery, anti- aircraft defences, and armour. Their air force could be dealt with by lunch time. Minor problem...by late fall of 2018 they could have 60-80 low yield kiloton fission, and 10-20 medium yield fusion deliverable . Possibly MIRVed by early 2019.
oldtrucker wrote: If all citizens capable of being deployed were, they would have the largest army on Earth. So North Korea is not a threat to anyone. North Korea's army is not largest anywhere. North Korea would be 1% as powerful as Russia, which means the backward tribe people of Afghanistan could beat the *bleep* out of Kim Jong-un - in a few months - about the same amount of time it took USA to defeat the powerful "WMD" threat of Iraq. The only thing North Korea is big in - is Kim Jong-un's opinion of himself. Cuba, which has an economy the size of Calgary, could probably beat N Korea in a war. 'thinktank'...your kidding right? North Korea including reserves and paramilitary would have the most ground troops by quite a bit. Could North Korea actually do anything even if they wanted to? Nope - they're too poor. Let's see how North Korea's economy compares with Oreos. North Korea - US$22.9 billion, or US$1,038 per capita. Oreo sales worldwide - $3.25 billion. as big as North Korea. Does that sound like the "hermit Kingdom" is a threat to anyone? ^ Do they look like any kind of threat to anyone? USA almost gives more free weapons to Israel, than North Korea's entire economy - almost. USA - spends more on weapons than all other countries combined. No one is a threat to USA. 'thinktank'...Does 60-100 deliverable fission and 10-20 deliverable fusion(low estimate)compute? At that point ,it doesn't matter about money. They don't need money to deliver these warheads. 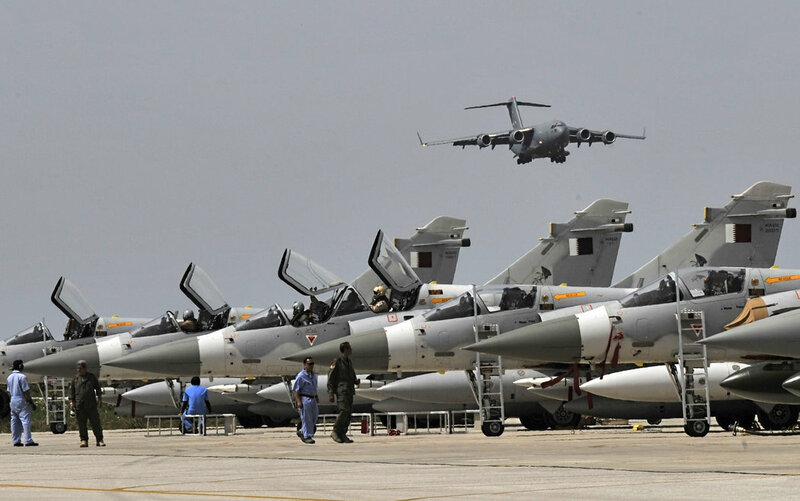 BTW...the pic you posted is not US aircraft-they don't fly Qatari Mirage 2000's. Last edited by oldtrucker on Feb 12th, 2018, 8:36 pm, edited 1 time in total. Thinktank wrote: ^ Do they look like any kind of threat to anyone? Would this qualify as a threat? Ka-El wrote: Would this qualify as a threat? like Israel is 80 times bigger threat than Iran ever will be. So what you're saying is since there are already such a large number of nuclear weapons in play around the world no one should be concerned by rogue states such as Iran and North Korea having a bunch of their own. What could go wrong? We should be concerned. Even a deer could jump out on the road once in a while so we should be concerned about everything. But how much? That's where math comes in. Math. Math is used in our life for everything. Every day. All the time. Q: Are you concerned about eating silly putty in your french fries? Q: Are you concerned about Trump starting a war in the next three years? A: Yes. America is the biggest warmonger on earth, and the richest and most powerful and most dishonest. I'm 90% concerned. Q: Are you concerned that Km Jong-Un will commit suicide by attacking a country 30,000,000 times as powerful as he is? A: Yes. I am .000000000000000000000000000000000000000000000000000001% concerned about North Korea 'starting' a war. yet no one wants to talk about it. 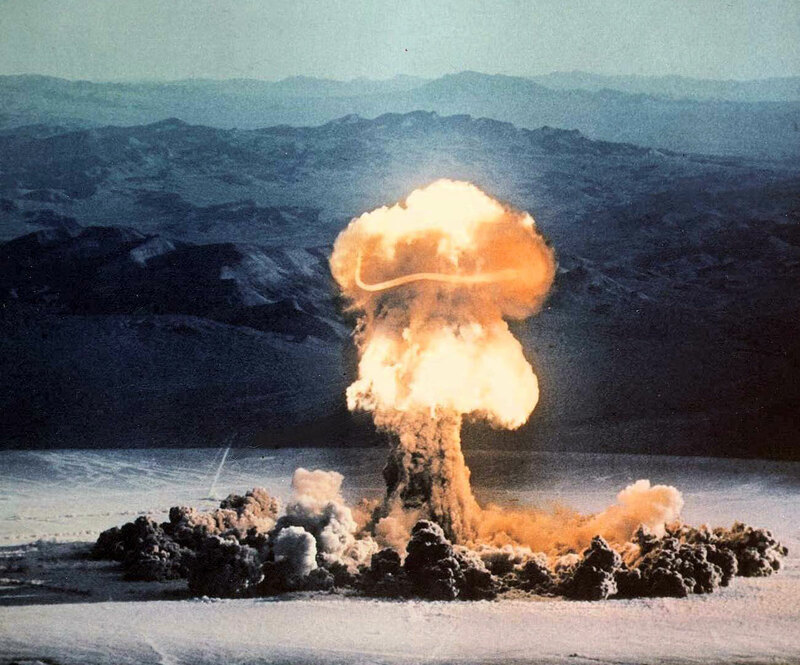 Are we prepared for another nuclear disaster? Nope. to get furious on his country and steal all his stuff. He doesn't want that. no wants want his stuff stolen. Do you think Gadafy wanted Harper and the other criminals to kill him and steal his 130 tons of gold? Well 'thinktank' ,you are so correct about the math in our lives. As I said in the very beginning of this thread,the vast majority of people, 95% plus, will be in complete denial, with no thought put into emergency planning. It amazes me that even with hard facts people won't even consider it .Perhaps it's to horrible for the majority to contemplate or deal with. Ka-el; last post/pic of a person with their head in the sand is so applicable to that vast majority. Totally disagree with you on NK worrying about money. The money they do have goes strait into weapons development. I can't see spending that much money on a nuclear weapons program, but be unwilling to use those weapons. Rocketman has declared that those weapons are earmarked solely for the U.S. mainland. He doesn't need nukes to win a Korean theatre of war.